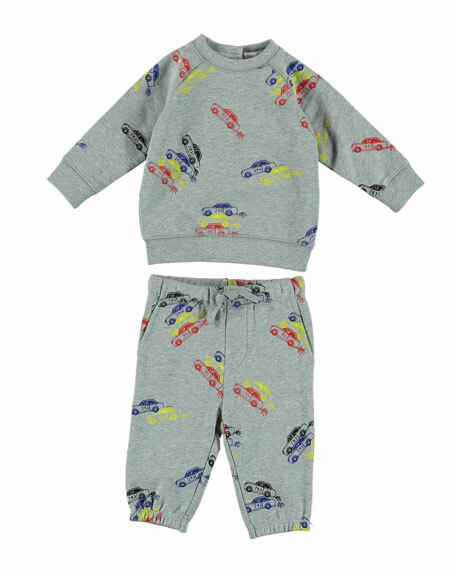 Stella McCartney Kids two-piece outfit set in allover cars print. Crewneck sweatshirt with snaps at back. Side slip pockets; elasticized ankle cuffs. For in-store inquiries, use sku #2665829.